There are two natural ways of detoxing your body – helping you to gain a healthy “internal environment”. The first way is to use special diets which can help you to clean your digestive system and, consequently, internal body tissues: liver, blood, etc. Drinking green tea (Green tea diet) or fresh fruit and vegetable juices, Ginger diet and Rice diet help this way of detoxing. The second way, is the way in which models detox, helping them to gain that slim figure as well as healthier internal condition of their body. Red smoothie detox and carb-cycling are two methods and the others we will discuss further below. Your health can be improved not only by detox diets, but by applying daily detox strategies as well. Especially after winter time or after holidays. I can suggest you 5 tips for increasing your body status. They are related with fat burn as well. Apply these 5 tips for stronger immune system, reduced anxiety and higher energy. Drinking at least 2.5 liters water per day (about 10 glasses) is extremely important for detoxing process. Your liver needs lots of water to process waste. It is better to drink mineral, spring or purified water. During detox period try to avoid tap water. Take into account that some of the bottled water come from the same source as the tap water. Natural foods mean foods, which are not processed: natural in their form and taste. The food, originally made by the nature, contains plenty of fibers, which are very important for your digestive system. Fibers helps the toxins to go out from your body. Eat any kind of beans, nuts and seeds, as well as whole grains like oats, barley and buckwheat. In order to support the detox process forget about all stuff, which contains refined flour and sugar, hydrogenated fats and all food additives like preservatives, artificial colors, flavors, and sweeteners. Vegetables and fruits are rich of antioxidants and phytochemicals. These substances neutralize harmful free radicals and decrease damage to cells, including liver cells. Particularly important are dark green and red vegetables and fruits, having higher detox power. Red-pigmented fruits – tomatoes, papaya, and watermelon, are rich in lycopene and the health of your liver. Cynarin, for example, found in artichoke leaves, stimulates bile secretions. 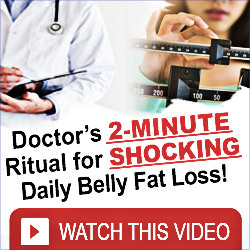 This leads to improved fat emulsification and digestion. Broccoli, Brussels sprouts, cabbage, and cauliflower, are rich in glucosinolates. Glucosinolates are precursors of phytochemical that stimulates detoxification enzymes, which neutralize cancer-causing chemicals. Spinach contains alpha-lipoic acid, which increases production of a compound that helps dissolve toxins and protect against cellular damage. Caffeine stimulates adrenal glands that produce stress hormones. Alcoholic beverages decrease the ability of your liver’s ability to break down fats. Replace coffee and alcohol by herbal teas or caffeine-free green tea. Researches have recently discovered that an amino acid found in green tea, may protect the liver against alcohol damage. As often as possible, buy organic products and foods: milk, meat, eggs, wild-caught fish, fruits and vegetables. Organic are all foods, which are free of pesticides, growth hormones, genetically engineered substances and synthetic fertilizers. Buy such foods from markets and specialized shops, if possible – produce it in your own garden. Researchers have found that children, who eat organic foods are exposed to six to nine times fewer toxic pesticides than children fed a conventional diet. For best results, stay away from anything genetically modified, check labels and double check ingredients. If you cannot pronounce it, you shouldn’t eat it.